Billowing smoke across the south end of Chambersburg brought a local alarm early in the afternoon for an outside investigation. 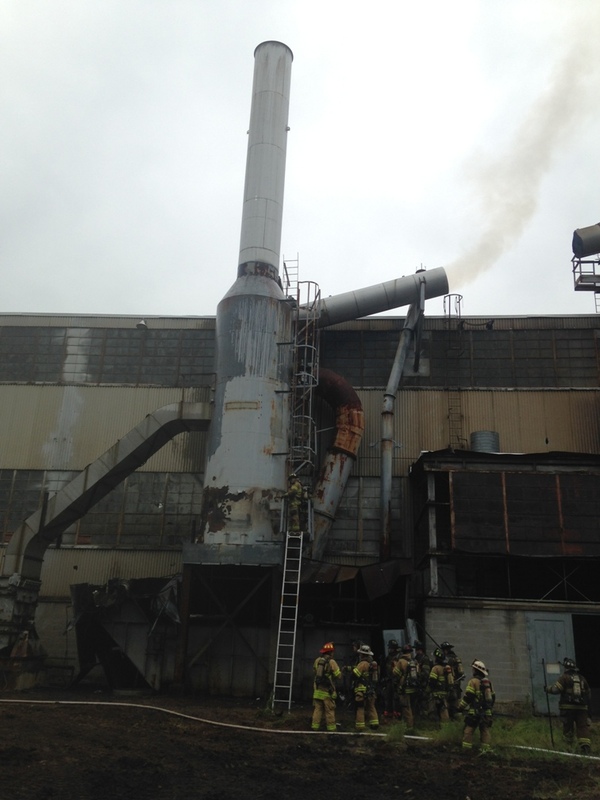 Shortly after dispatch, Engine 1-4 and Ambulance 1-7 arrived to find black smoke coming from a collection unit at Gaumer Industries. 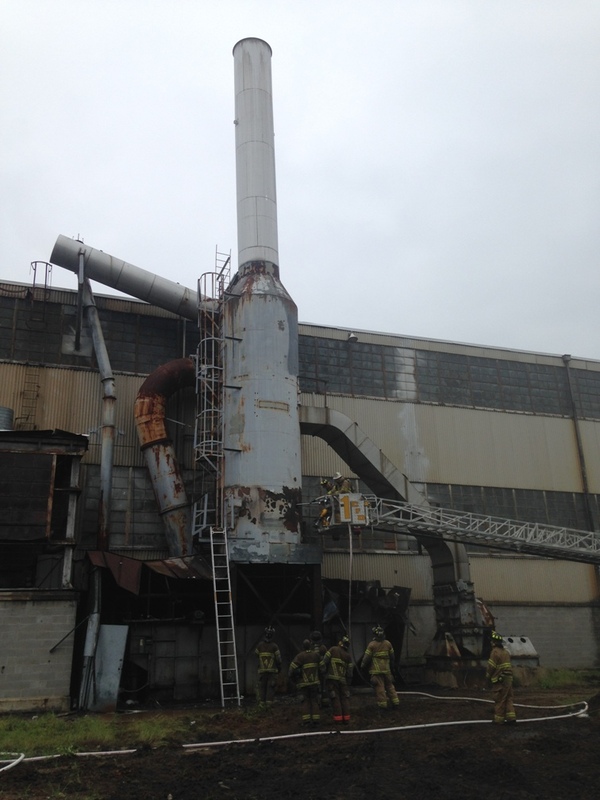 The commercial building assignment was alerted, and crews found a substantial amount of fire in the base of the collection unit and piping with limited access to the interior of the unit. 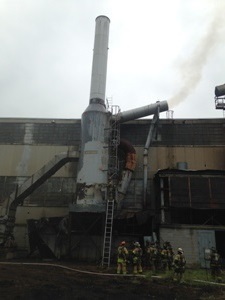 After the fire was confirmed extinguished in the piping with no extension into the building, the piercing nozzle was utilized into the containment unit. Command 1 (Chief 1) downgraded the box shortly after, and crews remained on scene for around an hour and a half. The fire was caused by welders cutting apart the unit for demolition.